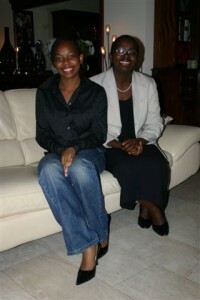 While Victoire Ingabire faces imprisonment in Rwanda, her family remains exiled in the Netherlands. During the last two years of the trial, they supported Victoire Ingabire in any possible way, even trying to bring the case to the United Nations and the Dutch government, though these turned out to be nothing but futile attempts. In an exclusive interview, eufrika.org spoke to Ingabire’s daughter, Raïssa Ujeneza, who received her mother’s conviction with resignation. eufrika.org: How did you experience the past two years of the trial? eufrika.org: What did you, other family members and supporters do during the last two years to direct attention to your mother’s trial? eufrika.org: Only recently, your mother was found guilty of genocide ideology and conspiracy against the government by use of war and terrorism. How do you explain these charges? Both charges are fabricated with the aim to put an end to her politics. My mother does not have a genocide ideology. Saying that she denies there was harm done to the tutsi in the genocide of 1994 is a lie. They based this charge on a speech where she said to believe that to move towards true reconciliation people have to acknowledge that not only tutsi but also hutu were killed in the genocide. She stresses that all who are guilty in committing genocide, whether hutu, tutsi or twa, should be fairly trialed and punished so that the many families who lost someone can finally have peace knowing that justice has prevailed. RPF members are among those who committed genocide, thus it is in the interest of the Kagame regime to prevent anyone from looking into this matter deeper for skeletons would be found in their own closet. eufrika.org: Many observers declare the judgment as the beginning of the end for the political opposition in Rwanda. What do you think the judgment means for the political landscape in your home country? eufrika.org: Would you say that one can still talk of a de facto separation of powers in Rwanda? Is an independent judicial power still given? In Rwanda there is no separation of powers. 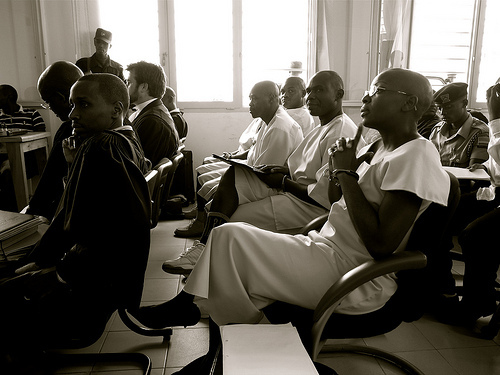 Rwandan representatives, including the president himself, have been meddling with my mother’s trial since the beginning. They called her a criminal and said she belongs in prison on several occasions in the media. If the Kagame regime truly had respect for the separation of power they would not have spoken out to the public this way as there was still an investigation going on concerning the accusations against my mother. eufrika.org: What would the government under Kagame possibly loose if oppositional leaders such as Victoire Ingabire would gain influence in the country? What does Kagame fear? The taking over of power marks the Rwandan history by either the tutsi or the hutu taking control violently. And every time one was in charge of power the other was simply excluded, ruled out. I believe this is the fear of the Kagame regime, to be alienated. For my mother is a hutu and thus the Kagame regime’s expectations might be that her rise would mean the fall of the tutsi who are a minority with 15 percent of the Rwandan population. When considering that the hutu form 84 percent of the population, it could be concluded that the hutu would dominate Rwanda through a democratic system. eufrika.org: What influence can oppositions in exile actually have on politics in Rwanda? What do Ingabire’s experiences teach you? Oppositions in exile have contributed greatly on exposing the problems Rwanda is facing today. For a long time the international community complimented the Kagame regime. Many implied that developments were improving greatly in Rwanda, especially in the economical sector. Unfortunately most Rwandan citizens within the borders do not dare to speak out. Criticism on the government is occasionally paid off with ones life and this reality paralyzes the citizens. Also officials plunder from the poor families when there is an assumption that a member of that family criticizes the Kagame regime. These acts of terror make it that most citizens remain quiet. They are rather safe than sorry. However, the Rwandans in exile, though many of them also fear Kagame’s influence that seems trans-boundary, feel the freedom to speak out. They approach the media, other political leaders and international organizations in their aim to create awareness on the severity of Rwanda’s critical circumstances caused by Kagame’s dictatorial regime. Pressure from the international community in practice appears to make a difference where a government is reluctant towards meeting the needs of its people. My mother’s case definitely teaches us all that you should not fear to speak out, especially when you have the truth on your side. In her own words she said: “Shall I die or live, be detained or released what we have achieved will not go back. This movement is stronger than me. Remanding me in captivity or silencing my voice can only postpone the revolution. It cannot stop the movement.” This ongoing movement shows to be real as we more and more witness that the young generation of Rwandans are responding courageously by standing up for their rights. I believe this is a result of the support they feel from Rwandans outside of the country. In the end, although we are all in different parts of the world, still our vision is one: to be free and safe in our country so that we can build it up for future generations to be able to have what we lack today, a stable homeland. eufrika.org: Which importance has a functioning opposition on the process of reconciliation in Rwanda? What position has and could Victoire Ingabire still have in that process? eufrika.org: Do you expect the international community to do anything about the recent sentence or do you think only Rwandan authorities should deal with internal affairs in Rwanda? I have regard for a country to decide on its internal affairs without interference of the international community. Nevertheless, my regard halts where the authorities of a country fails its people. The Rwandan authorities failed to meet my mother’s right to freedom of opinion and expression; the right to freedom of peaceful assembly and association; and the right to a fair trial, to mention only a few. I absolutely support my mother for boycotting her trial when it appeared that the high court was acting partial during her hearing. 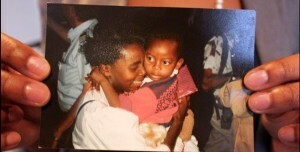 If anything, my mother’s trial has made it clear that Rwanda’s system is not performing as it should. The international community invests a lot of money in the development of Rwanda and therefore they should also expect to see improvement in return. Moreover I do not see how countries that highly value democracy and freedom of speech would support or even want to be associated with a country that fails miserably on these points as the Kagame regime is currently doing. Human Rights Watch, Amnesty International and even the UN reported that the Kagame regime is responsible for violating human rights in various ways. It is up to world leaders who have a responsibility to maintain peace and to also secure that all factors that could threaten the safeguarding of peace are handled accordingly. Instead of improving the Kagame regime is getting worse. The question to me is not whether the international community should do anything about the recent sentence in my mother’s trial or the trial of any other who criticizes the Kagame regime. Their situation points to the actual problem: the Kagame regime that violently oppresses its citizens. So the question to me is how bad should it get before the international community intervenes? eufrika.org: Finally it would be interesting to know if you think lodging an appeal could be crowned with success, the release of Victoire Ingabire?